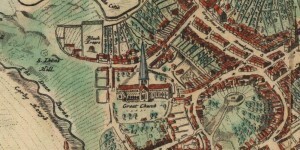 The church was at the centre of daily life in the city for centuries. It did, therefore, have a social as well as a spiritual significance for the people of Aberdeen. In addition, the church was recipient of donations from many worthy people in the past and became the repository for many memorials, both in the churchyard and inside the building. 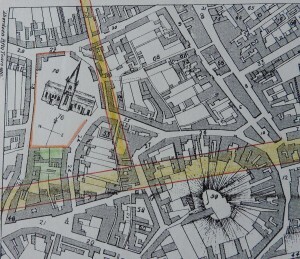 The churchyard, which is still owned by the City Council of Aberdeen has memorials going back nearly 500 years. 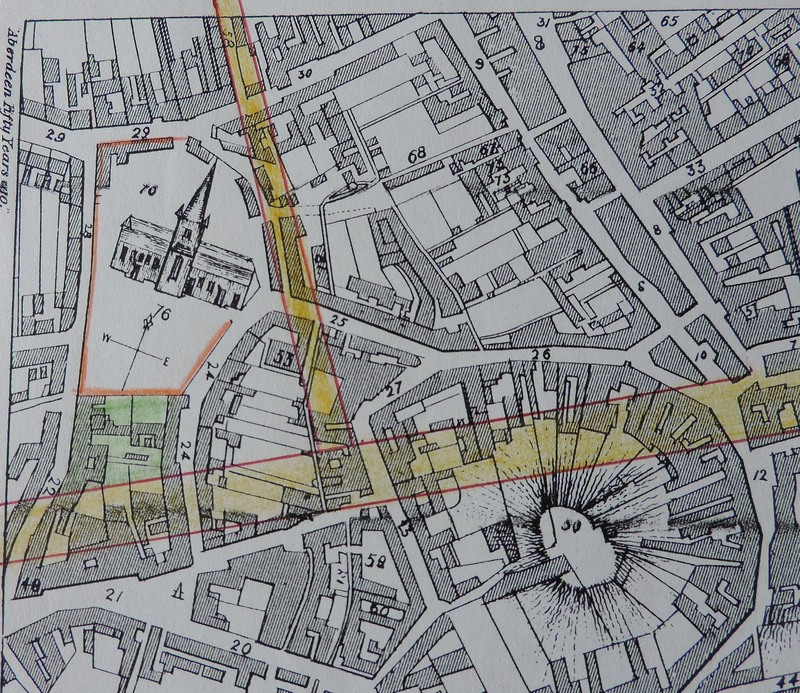 The adjacent map shows the churchyard in 1789 when it was smaller than it is now, ending in buildings before reaching what is now Union Street (the line of Union Street is shown on the map). 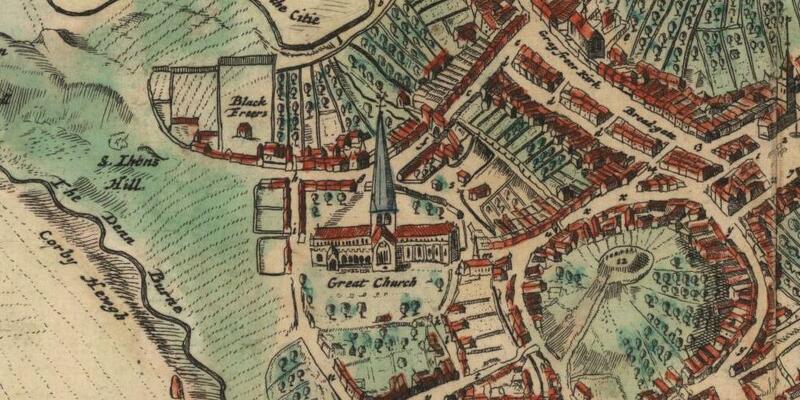 When Union Street was built, the churchyard was extended and the ground level raised to that we see today. This had the effect of extending its active life. As part of the development of the Mither Kirk Project a Statement of Significance was commissioned from Dr Grant Simpson in 2005. This covers many aspects of the wider heritage of the building. A copy of the Statement can be accessed here. In addition we are putting regular posts on the Blog of this website, and on Facebook, in which we highlight specific aspects of the heritage.